Updated Saturday March 16, 2019 by Dave Fields. 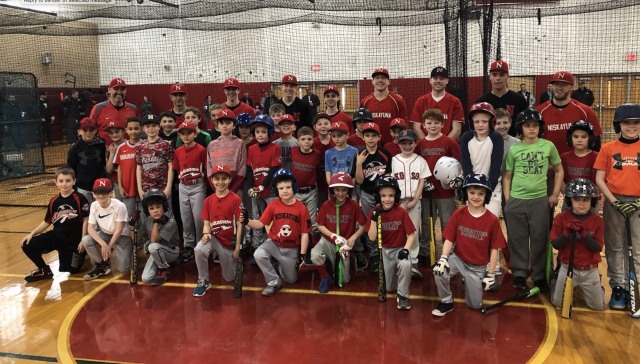 NHS varsity coach Chris Bianchi, along with his staff and players, conducted their annual clinic for Niskayuna Baseball League youth players at Niskayuna High School. All attendees received one full session of throwing & fielding, and another session dedicated to hitting. The clinic was held on March 9, 10, 16, and 17.